Osceola Foods, the local manufacturing plant owned by Hormel Foods Corporation recentlydonated $3,000 to the Food Bank of Iowa for the local elementary school backpack program, and $7,000 to Clarke County Food Pantry to help those in need. Hormel Foods Donation Helps Fight Hunger in Austin The Austin (Minn.) Plant donated $4,000 to the Salvation Army, $4,000 to Meals on Wheels, and $2,000 to the Women’s Leadership Initiative. 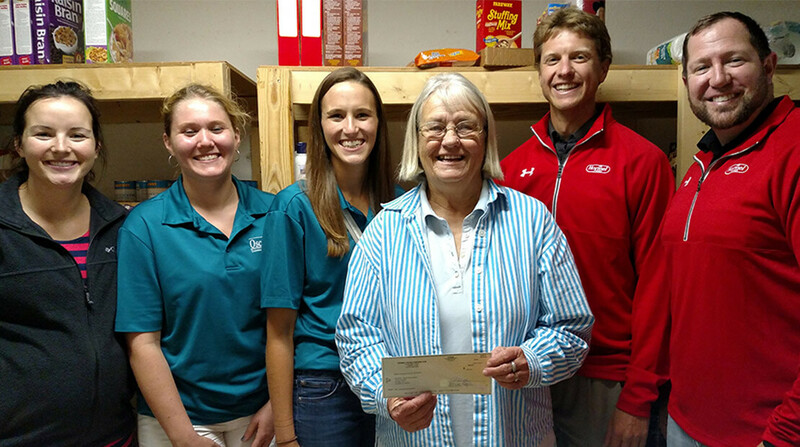 Hormel Foods Donation Helps Fight Hunger in Osceola Osceola (Iowa) Food donated $3,000 to the Food Bank of Iowa for the local elementary school backpack program, and $7,000 to Clarke County Food Pantry.